I spend a fair bit of time in some of the more remote areas of Australia and since it's too far to walk from home (and I don't own a horse), a motor vehicle is the most efficient way of getting from Point A to Point B via Point Z.
I'll bet money I'm not the only member of the forums who enjoys a bit of vehicle-borne exploration as part of their bushgoing activities, so I thought it might be fun to see how other folks handle their wheeled transpo out in the boonies. Kombi vans, 4x4s, ATVs, motorcycles, mountain bikes, ruggedized Segways... the options are endless. For about the past decade I have owned a 1970s Toyota Land Cruiser Diesel short wheel-based 4x4. It's taken me all over Australia, from the tip of Cape York to the gibber desert of the Woomera Prohibited Area (ok, that's only half the country). I'll do another post on the Shorty Forty Land Cruiser. 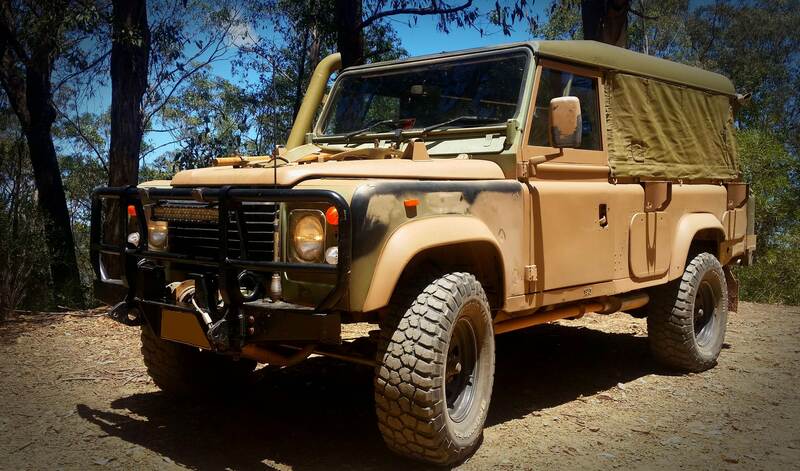 Last week I decided to retire the Cruiser since it's in need of a full frame-off resto so I bought an early 1990s ex Australian army Land Rover 110 "Perentie". Mine is an "FFR" model which means "Fitted For Radio" (see http://www.remlr.com/perentie-ffr.html). This basically means that in service it had mounts for a full range of antennas, and a 5 battery power system - a normal 12v alternator and single battery and a separate 24v system consisting of a massive 24v generator under the hood which charges four batteries so they could run high-power military comms without running flat the vehicle's cranking battery. A perfect power system for long range expeditioning and camping. Sadly the army demilled the power system on mine by chopping the big unobtainium cables and connectors and recycling the batteries of the 24v system. It has a four speed manual transmission and runs a 3.9 litre 4 cylinder Isuzu diesel engine - naturally aspirated, but I have a turbo kit here too which I'll fit if I need a bit extra on-road speed and fuel efficiency in the future. 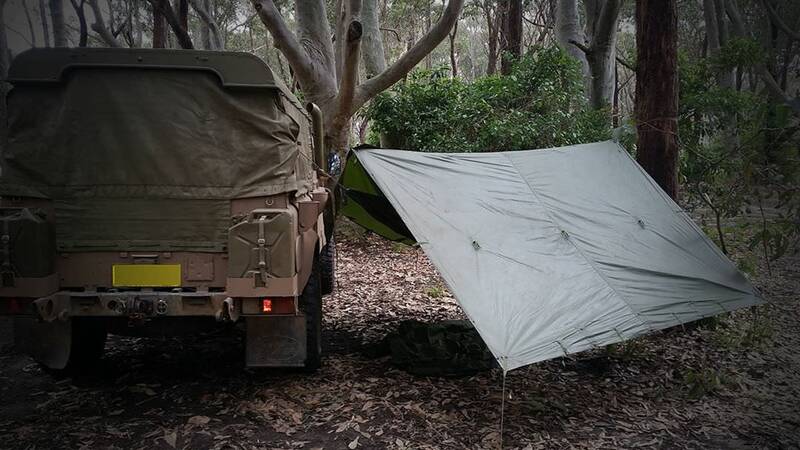 The previous owner of the truck took a cue from the awesome Australian army Regional Force Surveillance Vehicle (RFSV) variants of these vehicles (see http://www.remlr.com/perentie-RFSV.html) and instead fitted a dual 12 volt battery system. 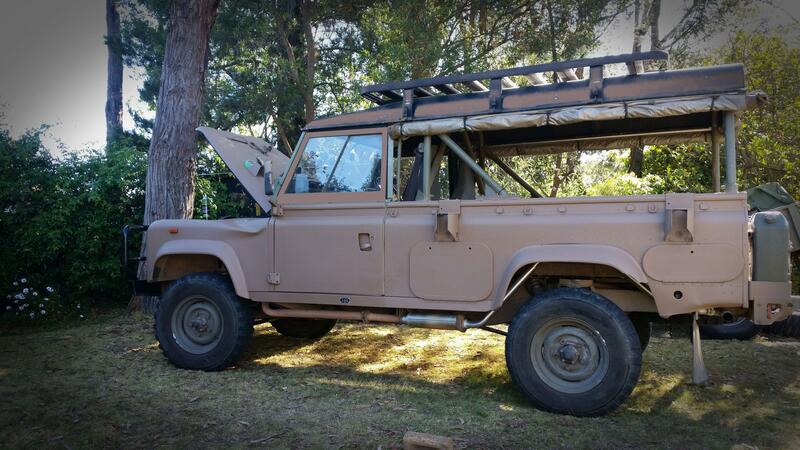 He also fitted RFSV rear disc brakes, power steering, heavy duty clutch and suspension, ARB onboard air compressor, front and rear roll bars, PTO winch and a bunch of other stuff. Sadly, he also painted the car with icky-green rattlecan fence paint. In addition, he fitted 33 inch mud tyres which, when combined with the long travel suspension, have damaged the rear plastic wheel arch flares. And there's a big dent in the front left side fender which I'll have to fix. 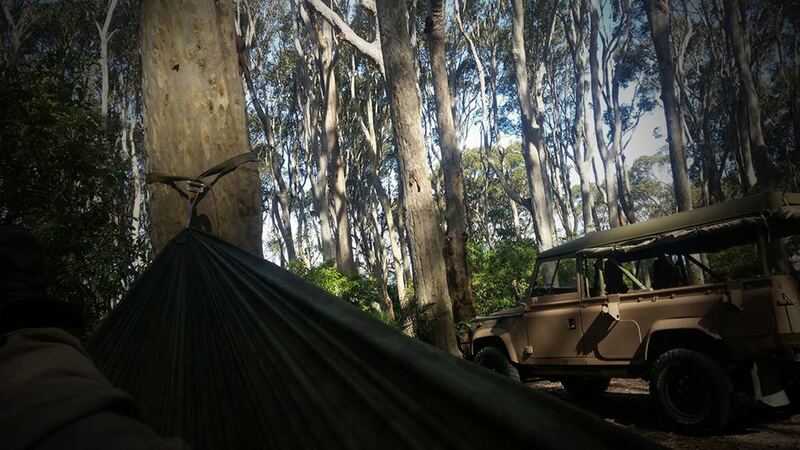 2. the original camouflage net rack which goes with the original soft tops only holds the weight of a rolled camo net or a spare wheel, so I won't be tempted to overload the roof rack and make the high Centre of Gravity even worse than it is now. It's a highly capable vehicle on and off road and it has almost double the cargo space of the shorty Land Cruiser. On paper it's perfect for my purposes, so here's hoping I start to enjoy it more than I am at the moment. Here's a post I originally made in another thread, but it was way off-topic and it fits better in its own thread. 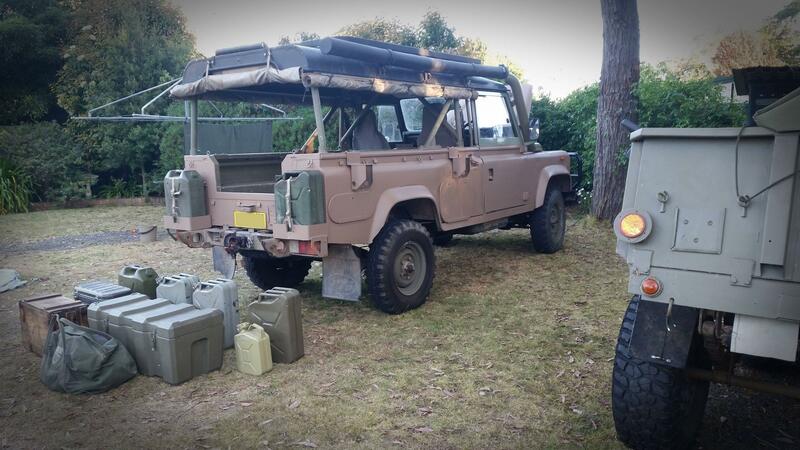 "I've "replaced" the land cruiser with an ex-army 110 Land Rover. I've still got a bad case of buyer's remorse. It's not a thing of beauty like the old Land Cruiser, but it's growing on me I guess. I believe this is a pic of my actual vehicle a couple of years back - rattlecan fence paint is yuck. I'm in the middle of stripping it back to the original camouflage finish. This is the colour paint I'm using. It's the brown/tan colour in the original camo pattern. Interestingly, mine has the hard top and roll down sides as seen in this pic. I'm putting it back the way it was, with an olive drab canvas top. This is the inspiration for my build, a radio vehicle which follows the Regional Force Surveillance Vehicles around up in the Pilbara region of Australia's remote north west. I don't do camo though... ;-)"
So that's one of mine. 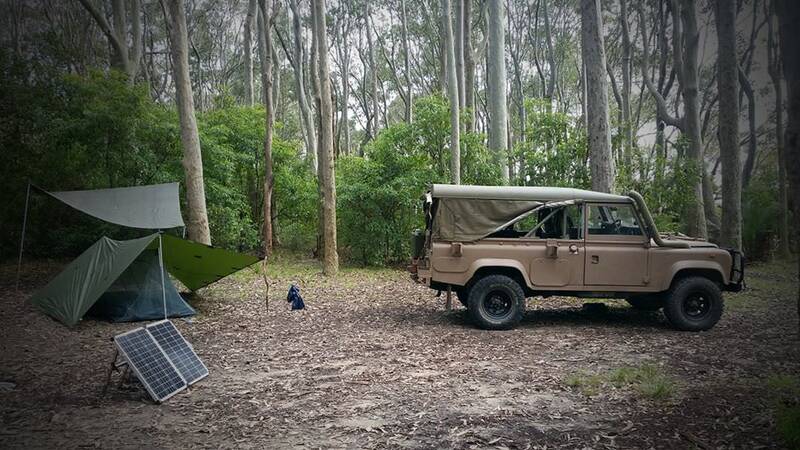 What vehicle/s do you use in the great outdoors to support your bushgoing activities? Here is mine. last pages are most recent with paint. 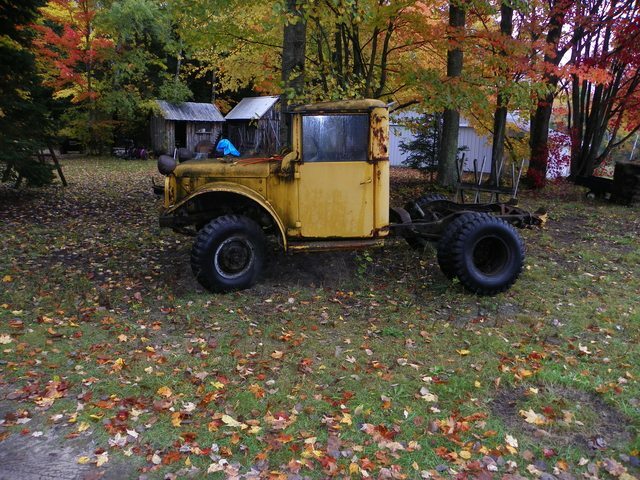 I have a 1970 Hustler 6x6 with bad chassis and all the axle bearings are shot. Thinking of using the transmission for a small dozer. Like A Struck mini or the newer magnatrac. I had a few Land Cruisers and Jeeps back when I did a lot of hunting in far off places but the last few years have found a 4wd truck and a shell is the best rig for me. Nice rig ya have there. I wish I had one to run around in. Now all ya need is a campaign cover with the top slanted back with a big crease in the middle, pack a big pistol on occasion, wear some khaki shorts with boots and a khaki shirt with epaulets & when ya ride around in that rig some folks will remember Les Hiddens, the "Bush Tucker Man". A trailer for the Oz bush would be nice too. I just use Jeeps & 4wd pickup trucks. I've had 4x4 pickups with a cap over the bed for years then went to a conversion van in the early '80's, I drove that one for about 25 years, went back to a pickup for several years and then back again to a conversion Van. Both Vans have been set up as campers, the rear seats taken out and a bunk bed built at the rear with storage under the bed, there haven't been too many places that I can't go with the Van, I keep clothes, freeze dried food, a camp stove, a couple of gallons of bottled water, and a portable toilet, it also has two gas tanks for a range of about 400 miles. The Van I have now is a 1990 Ford F-150 High Top conversion with 86,000 miles on it, I've had it for about ten years and it's still in nice shape and runs great, It's not going to swim any streams, run any swamps, or do any rock climbing, but it does ok in getting me out into the back country. Nice rig.....always thought a diesel was a great idea for back country junts. I use a Ford F-150 4X4 w/cap/topper...and F-250 4X 4 w/cap/ topper. i got a 2000 tahoe nice tires but really lacking storage space. i really miss the silverado, it was a 97'. Danggit Wolfy! It's 1.5 M So you know I will need to D.I.Y. this thing with some PMF (Poor man's fiberglass) and pine. I have an f-350 so I'll need to down size, a little wink wink. I really like these sherp ATV's. One thing about skid steer is the turning authority of the side with traction. In this video you can see what I mean. It seems to have enough tire and flotation to compensate with some stop and go jerking action. 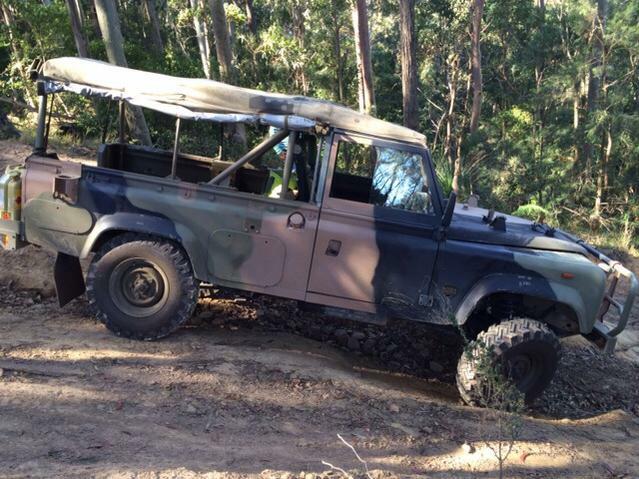 Mine is pretty much the same vehicle as the Bush Tucker Man used. Mine has a few more bits and pieces hanging off it because it's a comms model, but the engine, frame, transmission and suspension are identical to old Les Hiddins' truck. I've been working solidly on mine to get it ready for a 6000 mile round trip across the Nullarbor plain and into Western Australia next month, so it's had a few improvements and some gussying up. As a matter of course since it's a new (to me) diesel vehicle I'm taking it in for a major service in a couple of weeks so I can get the diesel fitters to look over it and pick up anything engine or running gear-wise I may have missed. Then if there's no problems I'll happily take it away on various expeditions around the country. There's some damage on the left fender you can see in the photos (a tree branch fell on it apparently) and like most land rovers with sliding windows the glass rattles. Aside from that it's good to go. Still not sure how I feel about this vehicle - sure it's at least 50% Australian-made, with the rest of it being made in England - but I've been driving a Toyota Land Cruiser FJ40 for the past 9 years so the new fangled Land Rover has big shoes to fill. Interesting comment about the Land Rover when compared to the Land Cruiser. 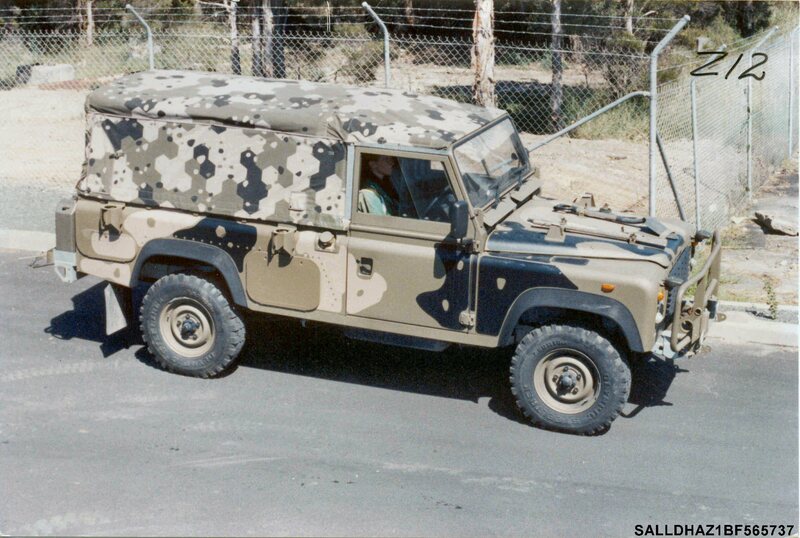 I remember when the Defender 90 reached our shores back in the 1980's and I went to the Rover dealer to look at them. It was quite an attractive package. I had been driving a FJ40 Cruiser for a few years and was tempted to get the Defender. This was before the internet ruled our lives with the information that it does now but there were a few articles on the Defender and it became apparent that the Land Rovers were reliability challenged from the start. I remember going to a Sportsman's show in Denver and seeing Gary and Monica Wescott from the Turtle expedition and asking him about Rover reliability. He laughed and said he was using trucks those days because while he started with a Rover Series he found that every time he changed something on the Rover to something made by someone else it got more reliable. I think he put a American 6 cylinder in the Rover and all the engine problems went away. Same with the electrics and so forth. I stuck with the Land Cruiser for a long time and it was one of the most reliable vehicles we ever owned. It was followed by FJ60's and an FJ62 and there were a lot of things I didn't like about the bigger Cruisers (fuel consumption and rust mostly) but reliability was always rock solid. Oh yeah, the Toyotas are one of the most reliable vehicles out there. Aside from the rust issue which wasn't resolved fully until well into the 1990s, Toyota got their mechanical reliability mostly sorted out back in the 1960s. The most common vehicle in the remote parts of the world is the Toyota Landcruiser with Toyota Hilux variants coming in a close second. 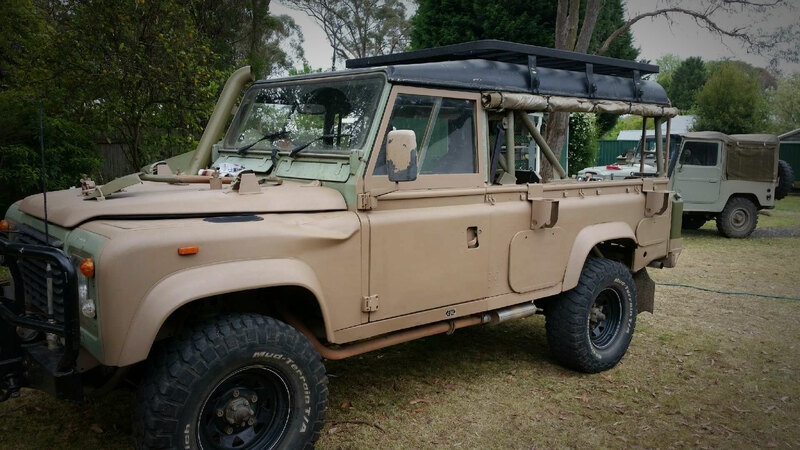 The Australian Army 110 "Perentie" Land Rovers are a whole different kettle of fish to the bog-standard English-made Land Rovers. 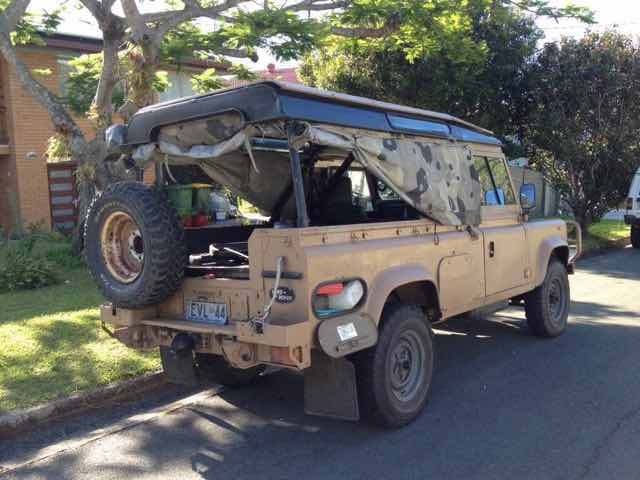 Jaguar Rover Australia, who were the contractors for the Army's tactical light vehicle fleet, put in a ton of R&D back in the 1980s and they fixed just about every reliability problem the bog standard Land Rover 110 Defender had. In service, the vehicles were as a matter of course, had their engines completely rebuilt after they'd done around 22,000 miles. In the early 2000s most of the fleet were zero timed and as a consequence you can sometimes buy a vehicle at the army disposal auctions with maybe 20,000km on the clock and you'll get it for about A$7,000 (approx US$5,500). Mine has been mechanically upgraded to Regional Force Surveillance Vehicle (RFSV) standard by the previous owner so I paid a little more than that. 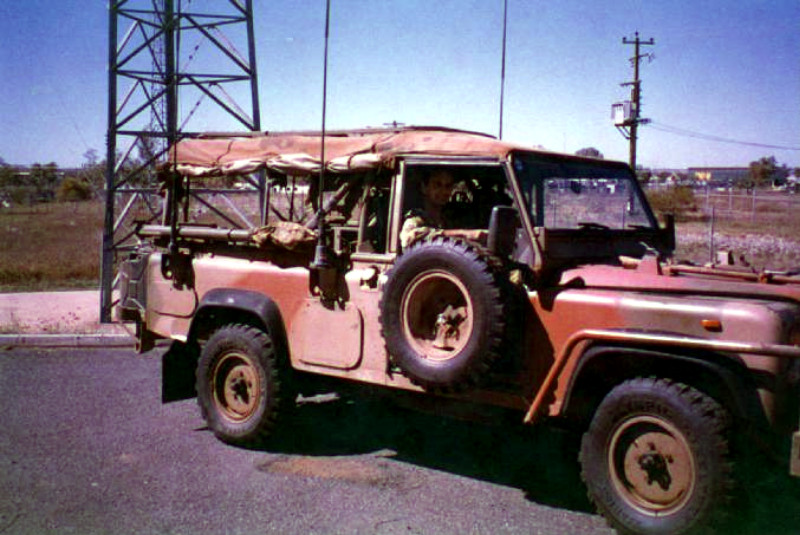 In trials circa 1985, the new Australian "Perentie" variant Land Rover 110s beat out the US-made Jeep AM10 and the West-German Mercedes Benz 300GD G-Wagen. 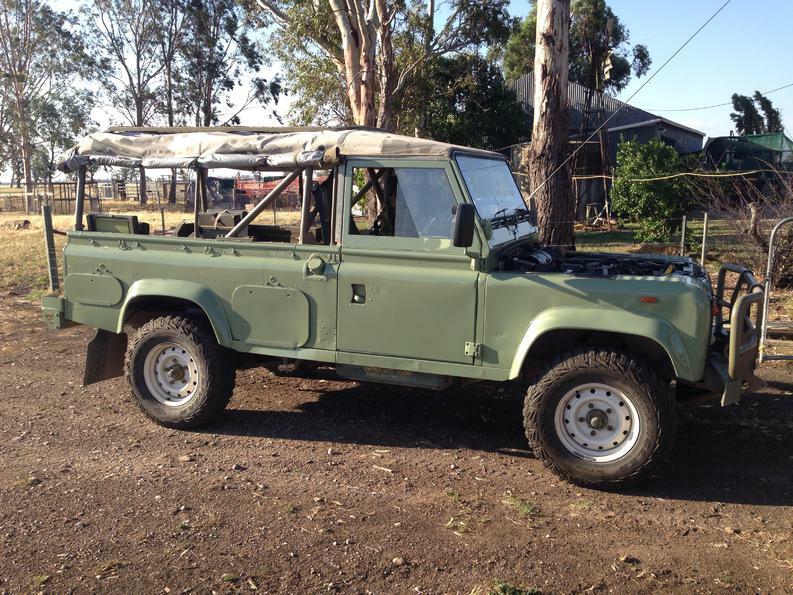 Time will tell if this Land Rover is as good as the FJ40 (mine is actually a diesel BJ40) Toyota Land Cruiser - I'm hoping it is. If this one is a dud I'm going to have a tough time finding a decently-spartan modern expedition vehicle. I was following some Canadian armed service vehicles down the road a couple of years ago. They were all in G Wagons. here's one I've been working on. Recently replaced the brake lines, gas lines and redone the gas tank and put on a new muffler. 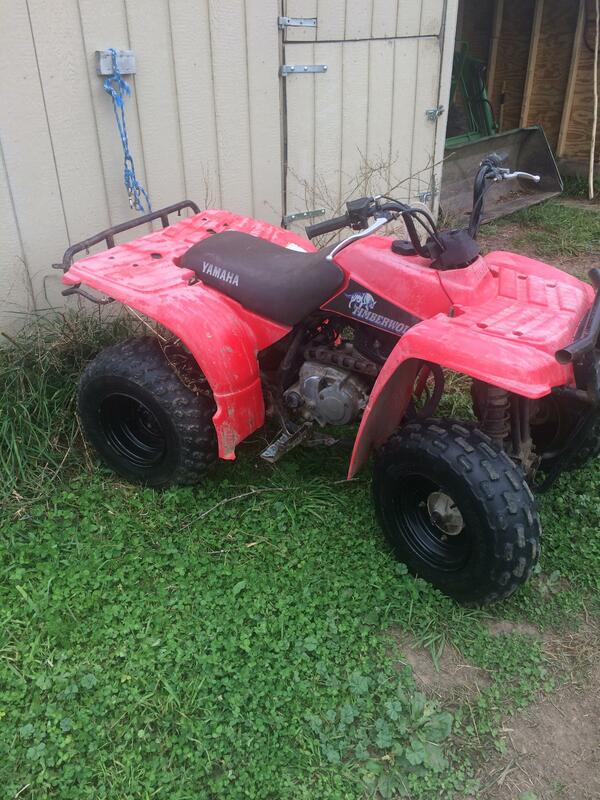 I also have a dihatsu rocky but the engine is in bad shape. Dodge Power Wagon? What a beast! My uncle had an m37 for plowing snow. It was Street legal but he wouldn't register it because it only did 45mph max. I said yeah but anywhere you want it to go!! I put a roof on my Nieces addition to her house. They are hard for cash and I just wanted to help. This is the first time I can ever remember a good deed coming back to me. Her and her boyfriend fixed this up from a bunch of parts wheeler's. It's done right and as factory correct as it gets. My new(old) 1991 Yamaha Timberwolf. It even has racks front and rear with a good size "trunk" behind the rear tail light. 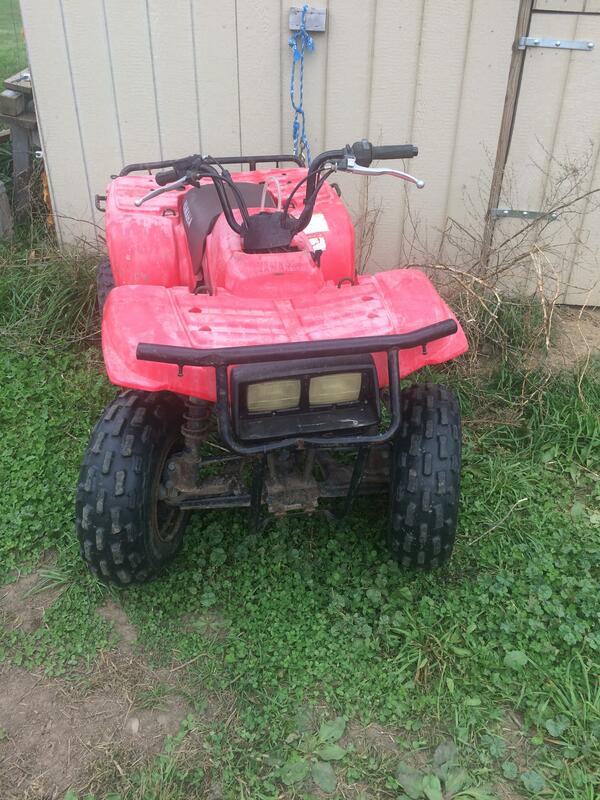 2 wheel drive so I'll get a cheap harbor freight winch for it. Some Jeeps come with a soft enclosed cab set up...and or removable hard top. 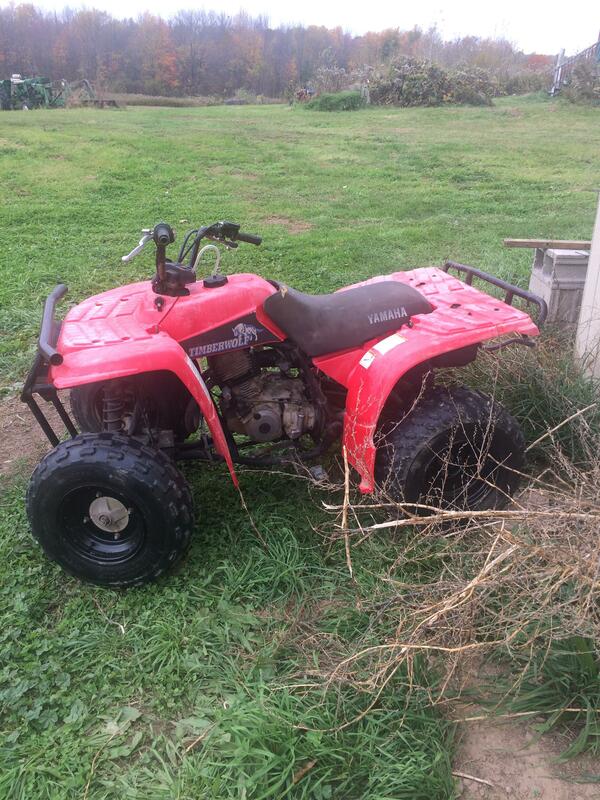 They are pretty much used as a "Fun Vehicles"
ATV and UTV have pretty much taken over for this tasks. I just use 4 X 4's for most all tasks that the 4 wheelers can't do. Some more pics of mine since I've been working on getting it ready for a month-long outback trip... new paint, swapped out a damaged panel, some mechanical repairs, etc. Due to budget my current bush vehicle is an '09 Toyota Yaris four-door hatchback. Coincidentally, (snicker) it's almost identical to my commuting vehicle (except in bush configuration the back seats are folded down and it has roof racks and either a canoe or a soft-sided cargo carrier on top). In the last seven years, the car has gotten me everywhere I've needed to go and I haven't (so far) tried to go anywhere that the vehicle prevented me. Now, that isn't to say I haven't done a lot of superficial damage to it (scratched the heck our of almost every surface on it). I've also on two occasions bumped down and loosened exhaust clamps. I've also had to jack-and- fill when I got stuck in the mud once. Once out in the woods, my transportation shifts to either two-feet-and-a-heartbeat or canoe. Is it ideal? No. I'd really like an small older Toyota or Nissan 4x4 pickup truck, but that'll have to wait. Looking good Lewis, I understand that a month long trip could only include fifty miles of actual driving time so this question may be irrelevant, how many miles are you expecting to cover and how much fuel will you be needing to carry for your adventure ? The trip is from one side of the continent to the other and back with a good lot of sightseeing in between, so it's around 12,000km/7456 miles. The longest stretches without fuel available on this particular trip are only about 600km/375mi which is typically less than a tank for my vehicle. I'm carrying 80 litres/20 gallons extra fuel in four ADF/NATO jerrycans which will be used for any tougher side trips with no fuel available. Also, it'll help save money on some of the longer stretches such as the Nullarbor highway, where there are fuel stations every 200 or 300 km, but they're all owned by the same bloke and since he's got a captive audience and is the only game in town he jacks the price of fuel right up. You'd be looking at around A$2 per litre for diesel, which at current exchange rates works out to be US$1.55 for just over a quart of diesel. You guys measure in gallons at the fuel pump don't you? Being mid summer with temps up around 120 deg F, good water availability is a bigger problem, so another 20 gallons is carried in 22lt water cans for camp and vehicle use between water points. The major routes through outback Australia are pretty civilized now when it comes to fuel availability. Then there's ones like the Simpson Desert where carrying an extra 10 jerrycans of diesel will only just see you right between gas stations. Sounds like a great adventure, good luck and Happy trails my friend. Great looking rig there buzzacott!